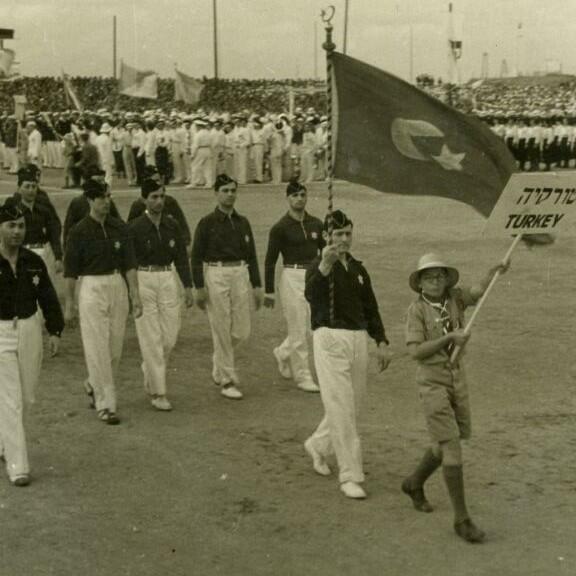 (Photo:English: The Turkish delegation to the 2nd Maccabiah. "The strategic path along which the US and Turkey are traveling has an element of fatalism about it, given that each side fears the divorce for a range of different rea-sons. Indeed, the North Atlantic Alliance (NATO) fears it, given that there has been no precedent for such a separation, and the entire premise of NATO as a containment mechanism against Russia (it was intended to contain the USSR) would then be open to question. The core of the “inevitability” of the divorce, however, remains the fatal misjudgment by Turkish Pres. Reçep Tayyip Erdoğan as to the US response to his actions, a perception he formed during the former US Administration of Pres. Barack Obama and on what he thought were his links to officials around incoming US Pres. Donald Trump."